Pakistan recored the highest increase in mobile internet speed among some of the world’s most populous countries in 2017, according to a report published by speedtest.net. The report observed that Pakistan ranked first with a 56.2% jump in mobile download speed during the past 12 months, followed by India at 42.4% and Brazil with 27.6%. Nigeria’s mobile download speed dropped by 8.4% and Bangladesh’s by 7.4%. China showed only a modest 3.3% increase in mobile download speed in 2017. 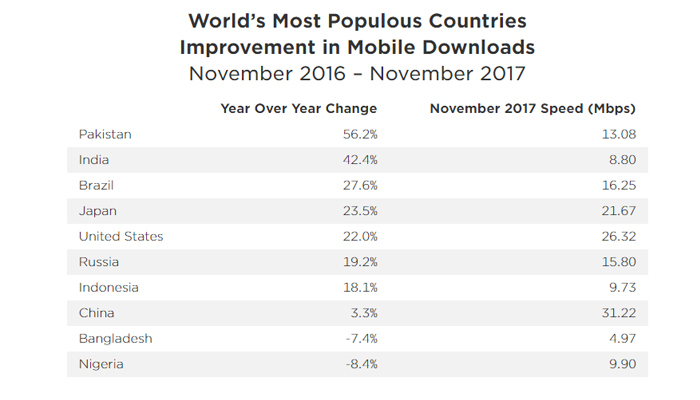 With a 249.5% jump in mobile download speeds, Laos showed the largest improvement in the world, according to the report followed by Vietnam with an increase of 188.7% and Trinidad and Tobago with 133.1%. 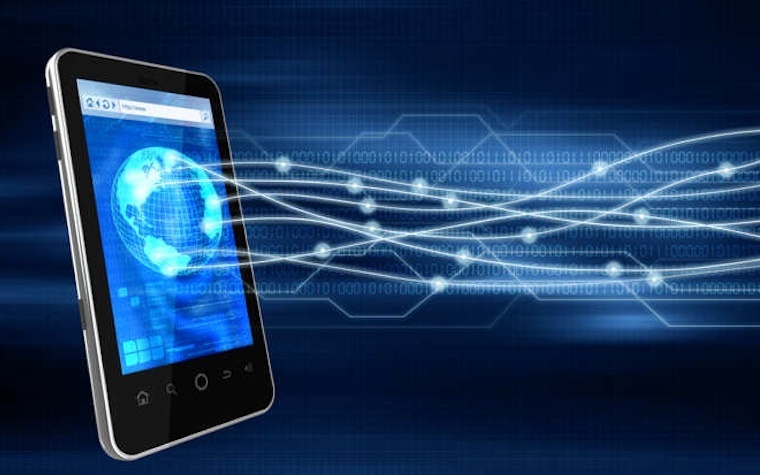 Puerto Rico saw a drop of 39.8% in mobile download speed during the past twelve months whereas Uzbekistan saw a decline of 31.8% and Côte d’Ivoire 26.1%. According to the November edition of the Speedtest Global Index, Pakistan ranked 89th in terms of mobile speed during the month, coming ahead of India and Bangladesh in the category. The Speedtest Global Index compares internet speed data from around the world on a monthly/yearly basis. Data for the Index comes from hundreds of millions of tests taken by real people using Speedtest every month. It is updated every month with individual country data and global averages.